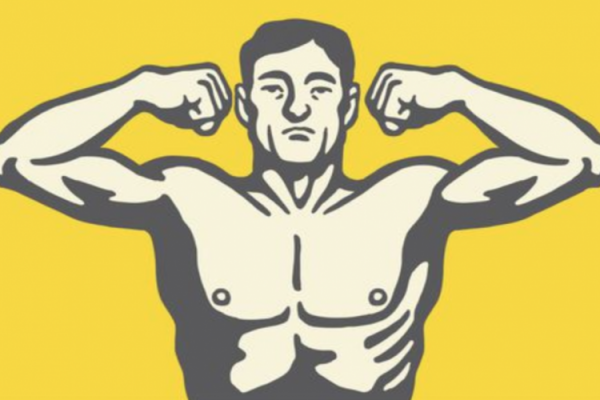 When men reach a certain age, testosterone levels start to decline and the lure of supplements that promise to turn back the clock can be irresistible. Finding a good product that works for you can be a long game of trial and error. 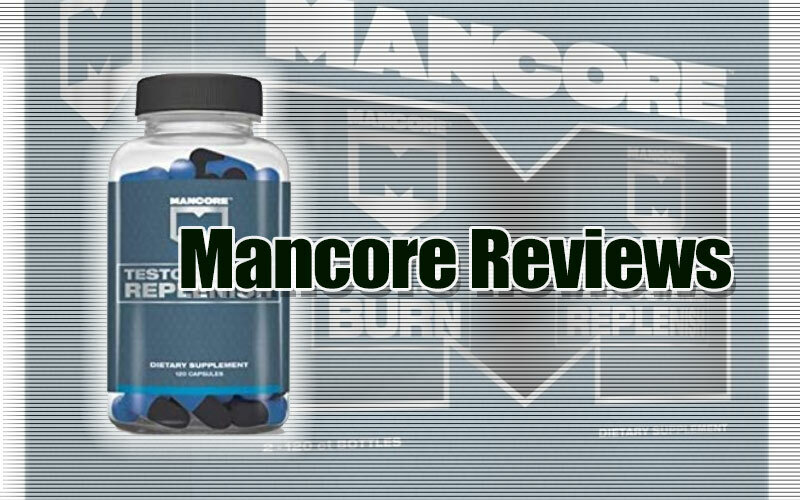 Here we check out Mancore Testosterone Replenish, which is believed to be especially helpful for men over 50. 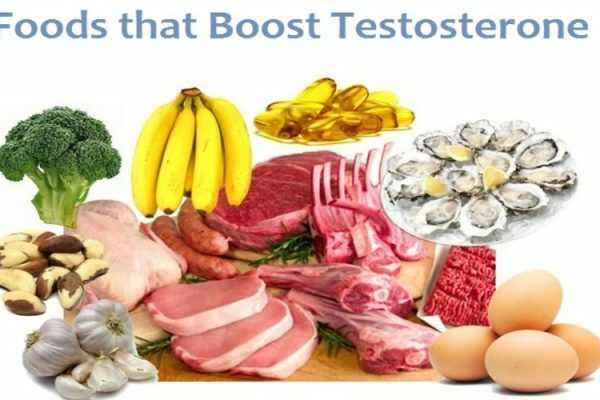 Complete Nutrition offer this supplement via their official website along with others designed to help those with Low T. They claim that it can help with stimulating the production of healthy testosterone and boosting energy levels among other benefits and it’s also gluten-free, so read on to see if it could be the one for you. Other side effects include dizziness, dehydration (if not enough water is taken with the supplement) and if you are sensitive to stimulants – be advised that nervousness and rapid heartbeat could be a problem. Other ingredients include Gelatin capsule, Rice flour, Silicon dioxide, Magnesium stearate, FD&C Blue #1, Red #40, Yellow #6 and Soy. 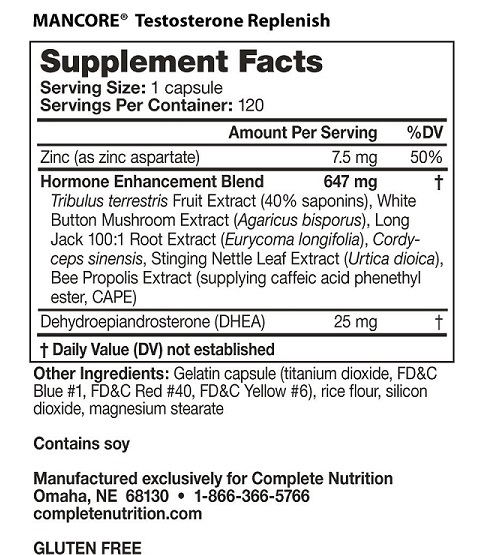 Take 1 capsule in the morning and 1 capsule in the afternoon with 8 oz water approx. 15-30 minutes before meals. 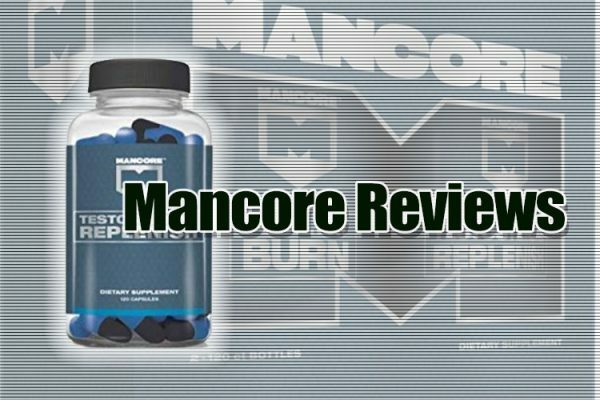 Mancore Testosterone Replenish is recommended to be used on an 8 weeks on and 4 weeks off cycle. 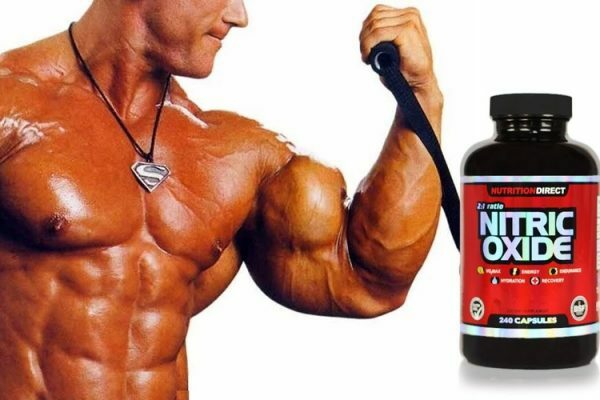 If you’re a professional athlete subject to rules and regulations, check the ingredients before taking this product. 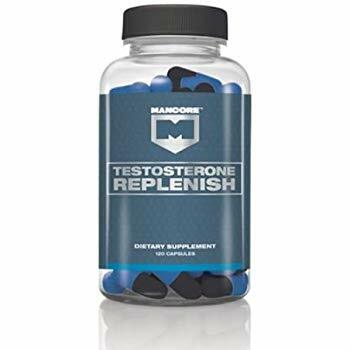 Mancore Testosterone Replenish is said to be good for men over 50 years of age, especially when it comes to an increase in energy. 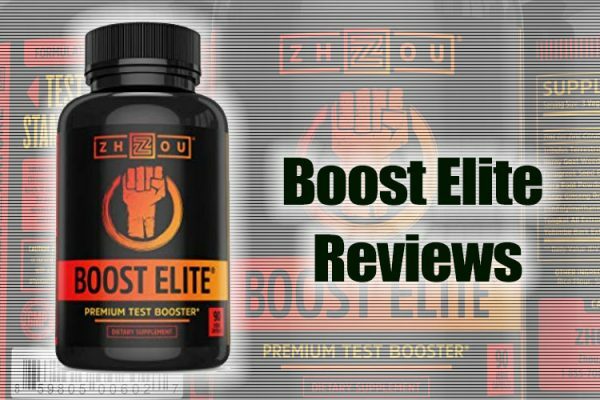 Different supplements affect people in different ways, so after checking with your doctor, take a closer look at this product and see if it’s the right one for you. If you like what you hear, and you’re curious enough to give Mancore a try, you can find it for sale at Complete Nutrition.